Given the hype surrounding Apple’s iPhone, we’re actually surprised that we haven’t seen more holes to plug over the years. In fact, the last major iPhone exploit to take the world by storm happened right around this time two years ago, and now — thanks to OS X security expert Charlie Miller — we’re seeing yet another come to light. Over at the SyScan conference in Singapore, Mr. Miller disclosed a hole that would let attackers “run software code on the phone that is sent by SMS over a mobile operator’s network in order to monitor the location of the phone using GPS, turn on the phone’s microphone to eavesdrop on conversations, or make the phone join a distributed denial of service attack or a botnet.” Charlie’s planning to detail the vulnerability in full at the upcoming Black Hat conference, but Apple’s hoping to have it all patched up by the end of this month. 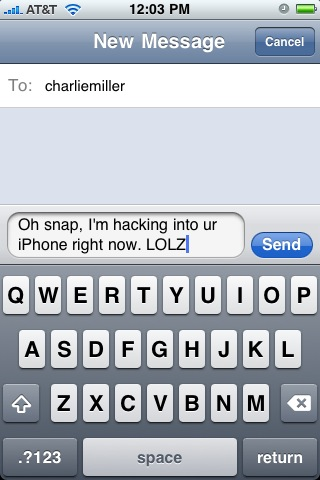 Apple patching nasty iPhone SMS vulnerability originally appeared on Engadget on Thu, 02 Jul 2009 13:01:00 EST.